Happy Dr. Martin Luther King, Jr. Day! The city of Durham has helped shape racial equality during the civil rights movement and continues to do so today. More than 100 years ago Durham was a role model for the black middle class around the United States. Martin Luther King, Jr., as an American pastor, humanitarian, and equal rights activist, contributed so much to the African-American Civil Rights movement. His legacy continues to live on. Did you know that Dr. Martin Luther King, Jr. was originally scheduled to be in Durham, not Memphis, on the day he died? In 1960, Dr. King made his famous speech that spawned the “fill up the jails” rallying cry at White Rock Baptist Church which is located on Fayetteville Street. For years, the congregation was led by Dr. Augustus Shepard, whose son, Dr. James E. Shepard, founded what became North Carolina Central University. In 1925, it became the first state-supported liberal arts college for African Americans in the United States. Now students of all nationalities and ethnicities walk the NCCU campus. “I Have a Dream” came to be regarded as one of the finest speeches in the history of American oratory. The March, and especially King’s speech, helped put civil rights at the top of the agenda of reformers in the United States and facilitated passage of the Civil Rights Act of 1964. On October 14, 1964, Dr. King received the Nobel Peace Prize for combating racial inequality through non-violence. 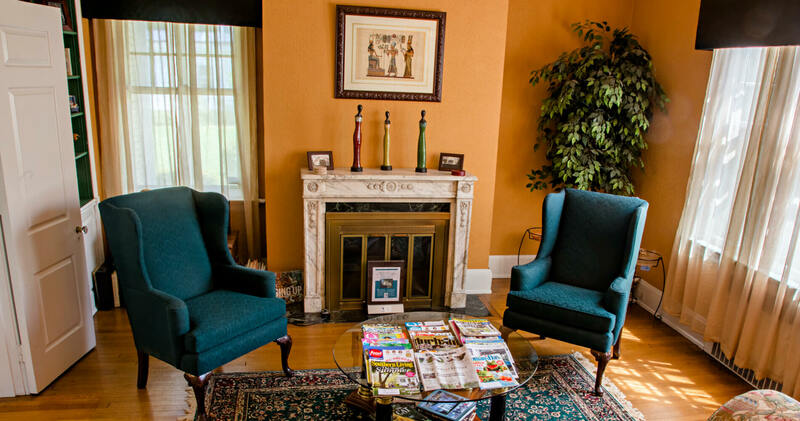 Morehead Manor Bed and Breakfast is pleased to be rated the #1 black-owned bed and breakfast in America, according to Black Enterprise magazine. We love extending our hospitality to guests from all over the world. There is so much that the Bull City offers. We hope you stay with us when you come visit the city of Durham. This entry was posted in Uncategorized and tagged #1 black-owned bed and breakfast, Civil Rights Movement, Dr. Martin Luther King, Durham, I Have a Dream Speech, Jr. Day, North Carolina Central University by admin. Bookmark the permalink.